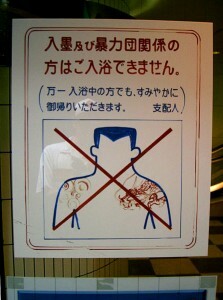 Tattoo Blog » Japan Loves Tatts? Tattoo Blog » Japanese » Japan Loves Tatts? Japan is a mysterious land for those with art on their bodies. While plenty of ignorant, preconceived notions about people with tattoos exists here in the west, a substantial percentage of the Japanese equate tattoos with the Yakuza, or Japanese mafia. That may sound pretty badass in theory, but believe me, speaking as someone who has been through it – it’s anything but. 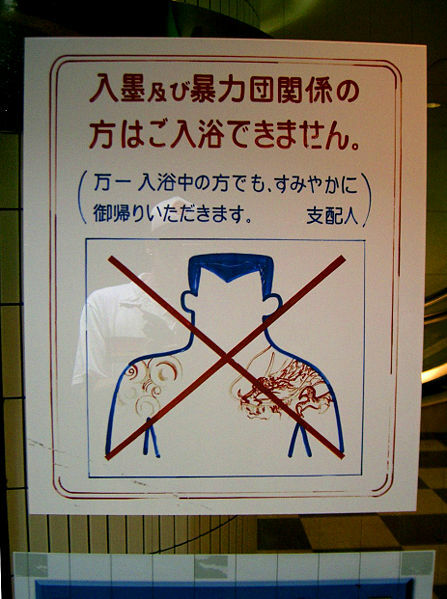 Tattooed people in Japan can be refused entry into bathhouses and hot springs (which incidentally, rule), miss out on jobs and apartments, and are generally feared by the majority of the population as miscreants. The Japan Times is reporting in this article that tattoos are rapidly growing in popularity with “girls working in the fashion and beauty industries and gay guys.” These new demographics seem to be leading a “surge” to get tattooed. Are we witnessing the birth of a new maniacal trend in Japan? Or are a whole bunch of fashion and beauty industry girls and gay guys setting themselves up for a future of being mistaken for Japanese gangsters? I’m a little doubtful myself that Japan, a country steeped in tradition and moral codes is going to suddenly purge itself of its opinions regarding this issue. Who knows though, right? At the very least it’s a step in the right direction towards acceptance. That’s never a bad thing.